If you watch TV at all, I’m sure you’ve seen this Allstate commercial making the rounds. It’s pretty funny (in my opinion), but does it make sense? Let’s examine. Female: Remember when you said men are superior drivers? Female: Yeah…then how’d I get this Allstate safe driving bonus check? So weird, right? My agent Tom said only Allstate sends you a bonus check for every six months you’re accident-free. But I’m a woman. Maybe it’s a misprint! Does it look like a misprint? The punchline (in addition to Dennis Haysbert’s voice taking over for the woman’s at times) comes at the end, when the woman shushes her male friend, to the presumed laughs of all. We’re left with the idea that the male has made a hugely chauvinist statement which has been thoroughly disproven by the woman’s Allstate bonus check and her cutting sarcasm. Game, set, and match, men! Take that! First of all, this is a perfect example of confusing a relative statement with an absolute statement. The man (allegedly) claimed that “men are superior drivers” (than women, it’s implied), which is the statement that the woman takes issue with. Thing is, superior is an inherently relative concept, because if something is superior, there must be something else that is inferior. Notice how I didn’t say a thing about actual, absolute skill level in any way. Saying that men are superior drivers doesn’t mean that good female drivers don’t exist – it just means that no matter how good females are, men are better. Females could rate 99/100 on some theoretical scale of driving skill, which is quite good, and they could still theoretically be inferior to men if men score 100/100 on that same scale. Similarly, men could score 2/100 on that scale, and they’d still be superior if women only scored 1/100. It’s like saying bacon is superior to mac and cheese. Nobody would deny the deliciousness of a good mac and cheese, but that doesn’t mean that bacon isn’t a superior saturated fat delivery mechanism. Bottom line – the man makes a relative statement, which the woman mistakenly interprets as an absolute statement. Her response completely misses the point, because the fact that this woman has received a bonus check from her Allstate agent is completely irrelevant to the argument that was made. A classic flawed method of reasoning. Secondly, this is also a perfect example of the illegitimate conflation of two ideas. The woman talks about her bonus check from Allstate as if it proves that she’s a good driver. But if you listen closely, you’ll see that Allstate sends bonus checks to everyone who’s been accident-free for six months. Think about the people you know who drive. I’m sure you know at least one person who’s somehow miraculously escaped causing an accident crossing five lanes of traffic at 60 miles per hour during rush hour while texting. I’m sure you also know someone who’s been rear-ended or even caused an accident despite being a very good driver in general. 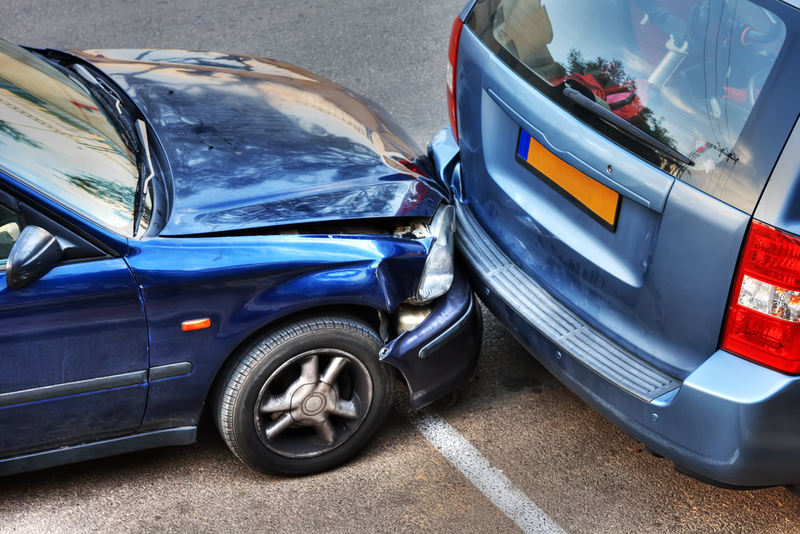 Now ask yourself – just because someone hasn’t been in an accident in six months, does that mean they’re a good driver? I think we’d all agree that this alone is nowhere near sufficient for us to draw that kind of conclusion. Yet, that is precisely the assumption we are forced to make if we want this commercial to make any sense at all. In other words, the idea that no accidents in 6 months implies that you’re a safe driver (/A6M -> SD) is a necessary assumption to this argument. Again, I think this commercial is quite funny, but it’s completely indefensible from a logical standpoint. Once again, the LSAT has managed to rob me of even a small amount of joy. UPDATE: User dldydwns on reddit has pointed out, quite correctly, that /A6M -> SD requires an additional assumption that SD -> /MSD (her being a safe driver -> men are not necessarily superior drivers), and that you can’t make that assumption on the LSAT. If that logical chain is taken, /A6M -> SD is still a necessary link to that argument, so it’s still a necessary assumption; nobody ever claimed it was sufficient. However, this brings up a separate issue of whether or not you’re allowed to assume that’s her method of reasoning at all. The text of the argument itself doesn’t actually say that the woman is going down that road, so technically speaking that’s an assumption I shouldn’t have made. You can read dldydwns’ excellent post here. Since I didn’t explain myself before, I’ll do so now. The argument technically says (/A6M -> BC) -> AS. In English – If you didn’t get into an accident for six months, and that got you a bonus check, then you must be with Allstate. That doesn’t have anything to do with the woman’s point, though, which is disproving the notion that men are necessarily superior drivers by showing off her bonus check. Her bottom line is definitely not that she has Allstate, so there’s a disconnect between the point she’s trying to make and the text of the logic she uses. The writers of this commercial bungled the logic big time, so I felt that I should go with intent, and in this case my interpretation of the intent was guided by what was supposed to make the commercial funny. Based on that, the clear intent of the argument was to end up at /MSD, so I rolled with that. Two assumptions here. First, the bonus check was because she didn’t get into an accident for six months. If that weren’t the case, then that piece of information is left hanging and the entire pitch makes no sense. Second, she’s showing off her check in an effort to ‘prove’ that she’s a counterexample to the generalized statement by showing that she’s not an inferior driver to males – i.e. that her driving skills are at least as good as men’s skills. Again, if that’s not the case, then the pitch makes no sense. Because this is a real world commercial and not a carefully constructed LSAT question, I felt justified making these assumptions. You definitely can’t make these kinds of assumptions on the LSAT, but the LSAT would also never put you in a position like this to begin with. My biggest mistake here was not making it clear that that’s what I was doing, and I take full responsibility for that. That said, this entire problem could be disposed of much more easily by using the statement BC and Woman -> /MSD, which is a sufficient assumption for her argument, skipping all of this nonsense entirely. In hindsight, that’s definitely the cleanest way to deal with it. Good catch!